Joanna plays through a Supro Coronado, a USA built fully tube 2×10 combo that is just as much a legend as Joanna. Supro’s Coronado is supremely articulate and loud enough for a large club stage. The The 1690T Coronado is the “top-of-the-line” vintage luxury Supro tube amplifier. Pigtronix is the rising star of a second generation of American boutique pedal makers that are redefining the stompbox for today’s musicians. Striving to push the dialog of musical effects forward, Pigtronix recognizes the value and relevance of classic vintage sounds as we focus on taking tone a step further. Here is the World’s first and only hand-crafted custom Guitar Slide. Although made of ceramic material, each model, when combined with specific glazes, can be calibrated to emulate the tones of glass, ceramic and various metals. 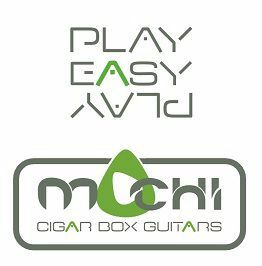 The production of MACHI CIGAR BOX GUITARS, is characterized by the desire to make the music available and accessible to all(hence the slogan Play Easy Play), fusing musical and market skills, with a particular attention to the environment and to the practices of recycling and reuse of old and new materials, pushing to the limit the historical production of these instruments that become true works of art.